Ptfe Finish,FA Treatment,laminated PTFE Membrane,Acid-resistant Finished Laminated Ptfe Membrane, Ptfe Finished. Glass fiber filter bag780g-830g woven fiberglass filter bag. The finish available is: ptfe finish,FA treatment,laminated PTFE membrane,Acid-resistant finished laminated ptfe membrane, ptfe finished. 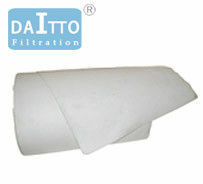 As one of the leading suppliers of high temperature resistant chemistry industrial fiberglass filter cloth for gas filtration in China, Daitto Group Company now has quite a few products in stock in its factory. Also dealing with customized service, we warmly welcome you to buy or wholesale discount and cheap products at low price with us. And free sample is also available if you need.